The New York Islanders have officially forced their way into the quest for the Stanley Cup, subsequently taking a proverbial dump on all of their early season critics. How was everyone’s night last night? 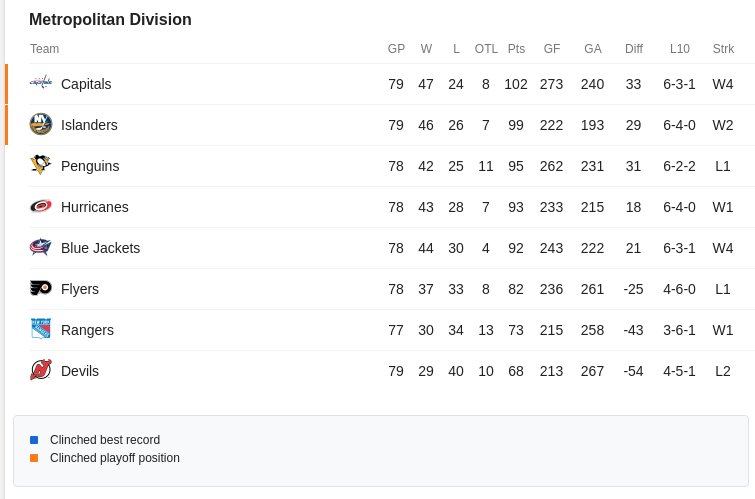 Wait, what’s this little “X” next to the team name in the standings? After a two year absence from the playoffs, the 2019 Stanley Cup campaign will once again have some blue and orange mixed into it. But, judging from the reaction from the team’s celebration (or lack there-of) after their 5-1 trouncing of the Buffalo Sabres last night, you can sense that this team isn’t quite satisfied yet. The players would give their now traditional center-ice salute to the fans with the majority of them giving the “Yes” arm motion, but I would say the celebrations were rather tame for a team who wasn’t supposed to be in this spot. Almost like they weren’t done quite yet. The post-game player and coach interviews would pretty much solidify that theory. This is not a time to relax and enjoy this relatively small victory with the remaining schedule at hand. The Islanders have three regular season games remaining – At home tomorrow versus a limping Maple Leafs team at the Coliseum, next in Florida on the 4th of April to face a Panther team with nothing to lose, and lastly in Washington on April 6th, versus the Metro’s current leader. The Metropolitan division and it’s home ice advantage is still up in the air – and the Isles have a legitimate shot at snagging it back from the Capitals. The team from Washington has an eerily similar ending 3 game schedule. They’re in Florida tomorrow, then hosting the bubble-team, Montreal Canadiens on April 4th, and finishing with the Islanders on the 6th. Three BIG games that could still move some standing positioning along with home-ice advantages around. This is by-no-means a time to get complacent. Rest assure, both the coaching staff and the roster are completely aware of this. 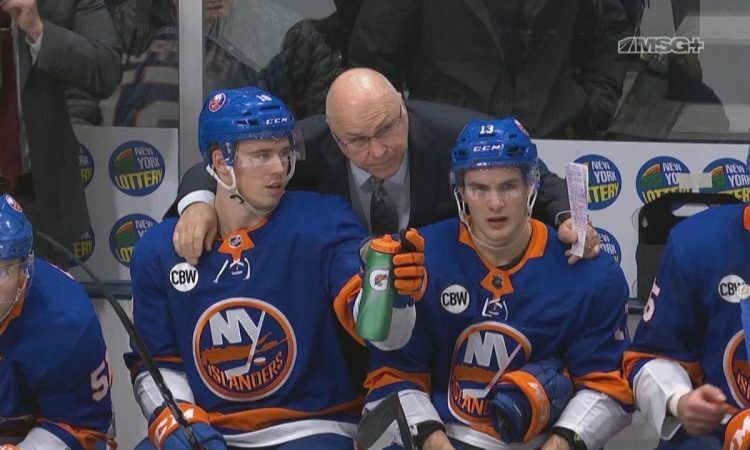 After looking a bit “out of it” with the injury to Valtteri Filppula, it’s looking like the Captain and crew have gotten through the rough patch of the sea, and have steered the ship in the proper direction. 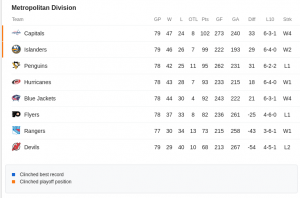 The New York have clinched a playoff spot after their win versus the Buffalo Sabres last night. the last two games, and looks to be buzzing since he was reunited with Mathew Barzal and captain Anders Lee. So, I guess the very next question will be – What’s the atmosphere going to be like in the Coliseum on Monday versus the Toronto Maple Leafs? It’ll be the second “home coming” for a certain ex-captain who has yet to solidify his new team with a clinched playoff berth. A win in the Coliseum should very well do that for the struggling Leafs, who’ve gone 3-5-2 in their last 10 games… The kicker of that fact is two of those losses have come at the hands of the abysmal Ottawa Senators. Get the tailgating ready folks, and come out in full-force on Monday. Take off of work on Tuesday. It’s another BIG statement game for the Islanders, and it should be another good one. They’re able to put the Leafs playoff hopes on hold some more, and continue to be the thorn in the side of the Canadian media. That alone should be enough to get the boys going. During all of those chants that are certainly to take place a-la their last meeting with the Leafs, be sure to chant for the players, and not for the head coach Barry Trotz. Just as all the players do, the entire organization, from it’s players to it’s coaching staff to it’s front office – they are ALL always making it known that this is a TEAM EFFORT. Since the beginning of this season, it’s always has been – and always will be.